Have you thought about trying to get media coverage for your small business but dismissed it because you presumed you couldn’t afford it? What about if you could do your own PR, instead of hiring big PR agency? And what about if I told you it didn’t have to cost the earth? 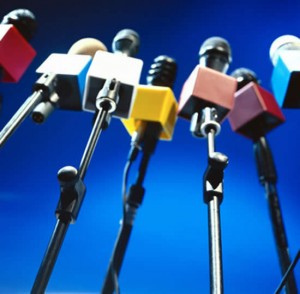 PR is a valuable tool for getting your business seen by prospective clients. And the good news is, there are a host of great PR tools at your disposal that can help you to achieve brilliant results. A press release is a written document that tells journalists about your story. Find your angle, create a press release that covers all the important aspects of your story, then send it out to media outlets. You can send it to newspapers, magazines, online publications and TV and radio stations – if your story is of interest to the journalist, they will publish your news. What’s great about coverage achieved as the result of a press release, is that it’s much more effective than a paid advert. Readers may be sceptical of advertising, but if they read about your business in an editorial, they are far more likely to trust what they see. If you can land a speaking gig talking about your specialist subject within your industry area, this can be fantastic PR for you and your business. Speaking gigs enable you to show off your expertise and knowledge, whilst speaking to your ideal clients. Have a look for networking events where attendees are encouraged to talk about their businesses, and looks out for other speaking opportunities. Serious about public speaking? Check out www.toastmasters.org for tips on how to speak well in public and to maximise speaking opportunities. A blog is another fantastic way to show off your expertise and generate PR. Write a popular blog post and you could even see it end up going viral. Plus big news sites often run stories on popular blog posts. Then there’s guest blogging. Look for guest blogging opportunities and you will get even more coverage for your business as well as a new audience of readers. There are also great news sites that often run blog posts from business owners and entrepreneurs – take look at sites like Huffington Post, Forbes, Guardian Blogs, etc. Social media is an important tool for PR. Twitter especially is a really effective medium for connecting with journalists and letting them know about your business. And with the likes of Facebook, You Tube and Google+ you can show off your expertise and broadcast yourself to the world. Social media is also a great way to shout about PR success when you achieve it. As soon as you get your first piece of media coverage, you need to post links to it throughout your social media networks to let everyone know about it. Search Engine Optimisation (SEO) can help people to find news about your business online, leading to fantastic PR. If you make sure that you optimise your website and blog with keywords this will help journalists and bloggers searching for terms relating to your industry to find you. Also make sure you optimise any press releases that you post online so that your news stories will rank highly in search engine results.